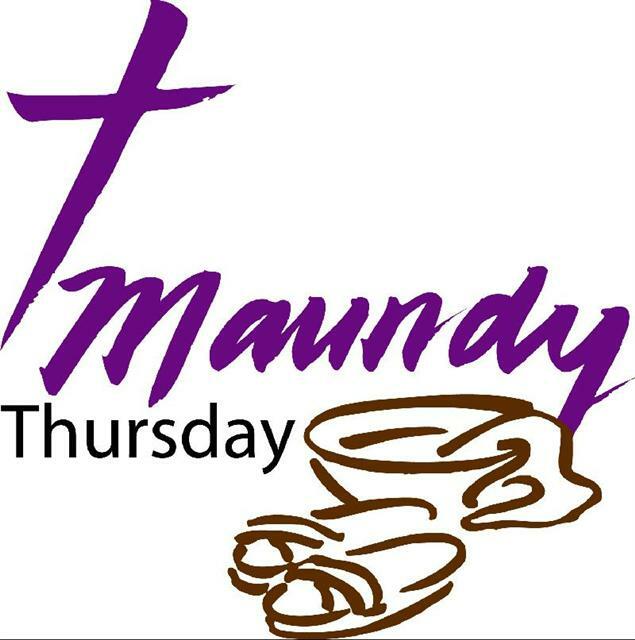 Maundy Thursday is observed during Holy Week on the Thursday before Easter. Also referred to as "Holy Thursday" or "Great Thursday" in some Christian denominations, Maundy Thursday commemorates the Last Supper when Jesus shared the Passover meal with his disciples on the night before he was crucified. In contrast to joyful Easter celebrations when Christians worship their resurrected Saviour, Maundy Thursday services are typically more solemn occasions, marked by the shadow of Jesus' betrayal. Before the Passover meal, Jesus washed the feet of his disciples. By performing this lowly act of service, the Bible says in John 13:1 that Jesus "showed them the full extent of his love." By his example, Jesus demonstrated how Christians are to love one another through humble service. 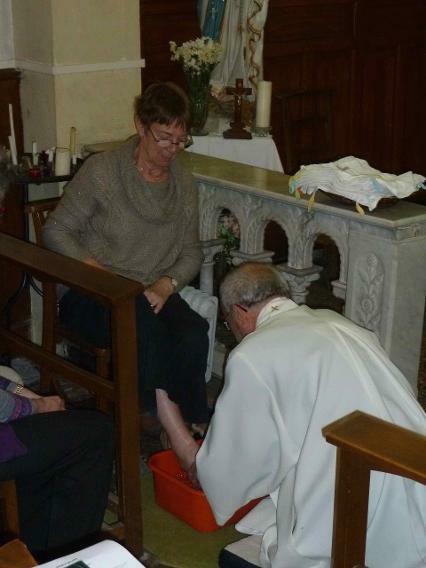 For this reason, many churches practice foot-washing ceremonies as a part of their Maundy Thursday services. During the Passover meal, Jesus took bread and wine and asked his Father to bless it. He broke the bread into pieces, giving it to his disciples and said, "This is my body, given for you. Do this in remembrance of me." Then he took the cup of wine, shared it with his disciples and said, "This wine is the token of God's new covenant to save you--an agreement sealed with the blood I will pour out for you." These events recorded in Luke 22:19-20 describe the Last Supper and form the biblical basis for the practice of Communion. For this reason, many churches hold special Communion services as a part of their Maundy Thursday celebrations. Likewise, many congregations observe a traditional Passover Seder meal. 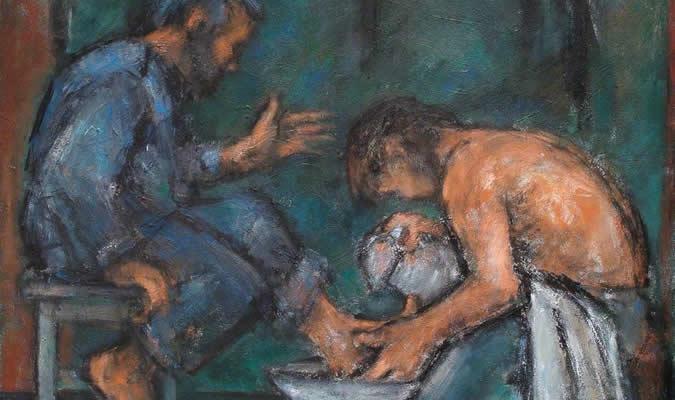 In 2013, the Archbishop of Canterbury, Archbishop Justin Welby wrote an article entitled "'I have set you an example' - why clergy wash feet on Maundy Thursday. The Washing of the Feet by Ghislaine Howard (2004), Collection: Oxford Brookes University.